Woo HOO! I sewed the last of the squares together today and now it’s assembly time!! 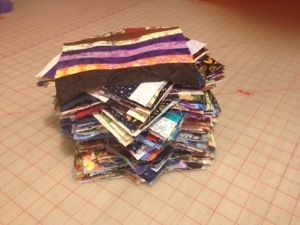 181 squares! They don’t look like much stacked up in a pile.